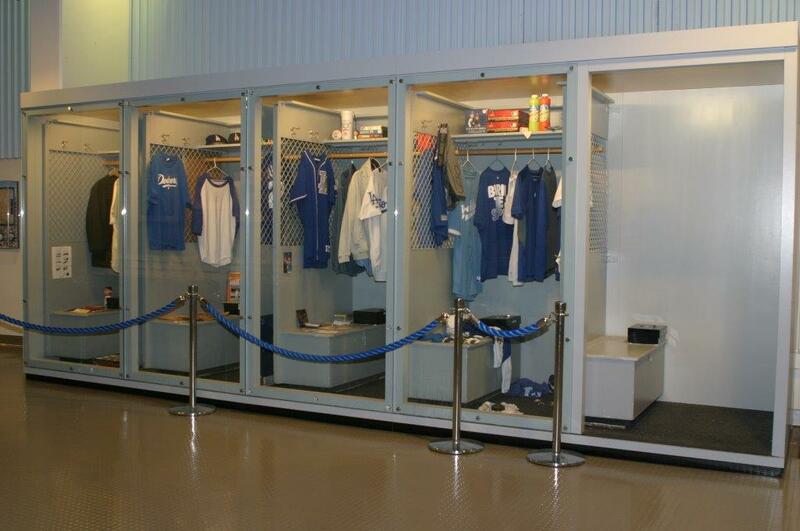 We brought the original Dodgers lockers back to life for this custom display case. 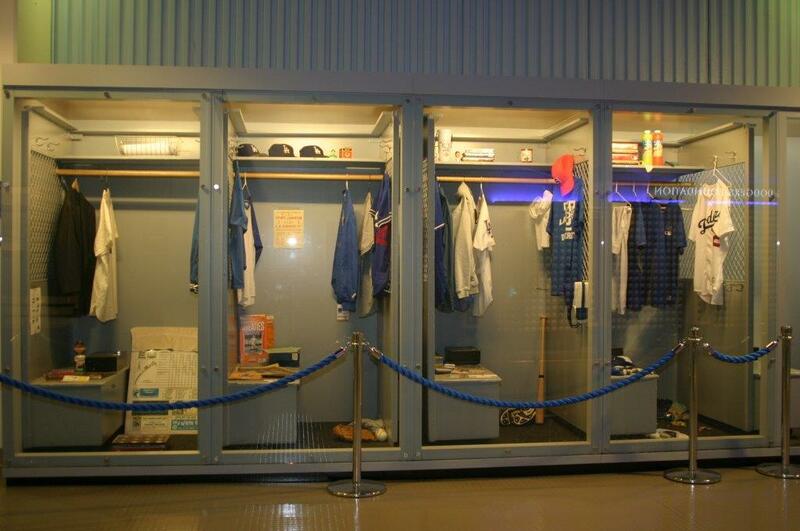 Sandy Koufax and Tommy Lasorda changed in these very lockers years ago. 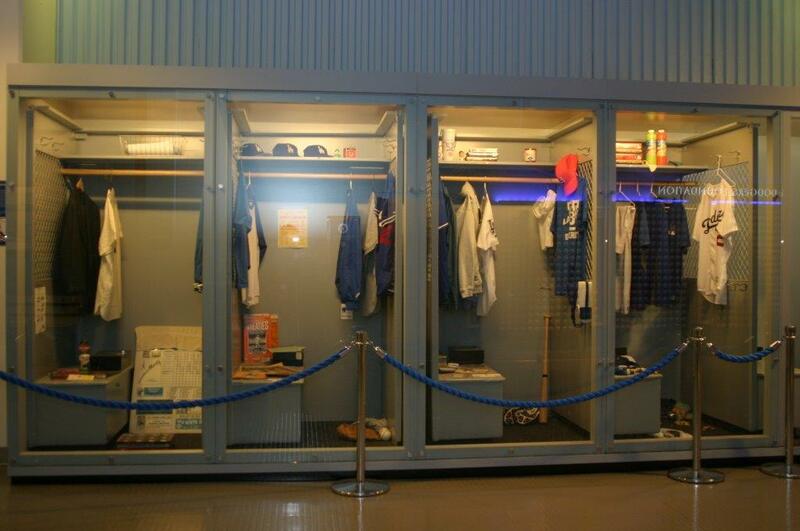 Each section of this display case that we assembled and refinished portrays a time period from Dodgers history. A different Dodgers uniform represents each period. To capture the authentic feel of a basement locker, we installed dim lighting. Sports newspapers, memorabilia, and even underwear (!) from each time period bring interest to each section. Guests can interact with the display by stepping into the last open locker for a photo op. It’s not how we do it, it’s how we do it better. When April Alexander and James Willis began Alexander & Willis, they set out to lead a custom furniture restoration and design company that was much more than the sum of its parts. Today, they bring together an experienced, versatile group of craftsmen that sees the big picture in each project. Alexander’s design sensibilities and Willis’ technical nature help align the dynamic, responsive team to the same goal every time. © 2015 Alexander & Willis. All Rights Reserved. Developed by Lion5.